In each level, a specific Petpet is hiding in a crowd of Petpets, and it's up to you to catch them! At the beginning of each level, you will be told which Petpet you need to find. 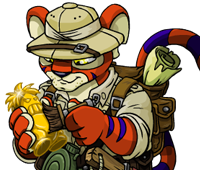 Use your mouse cursor to click on the correct Petpet's location. Each incorrect guess earns a strike. Earning three strikes or running out of time ends game play.